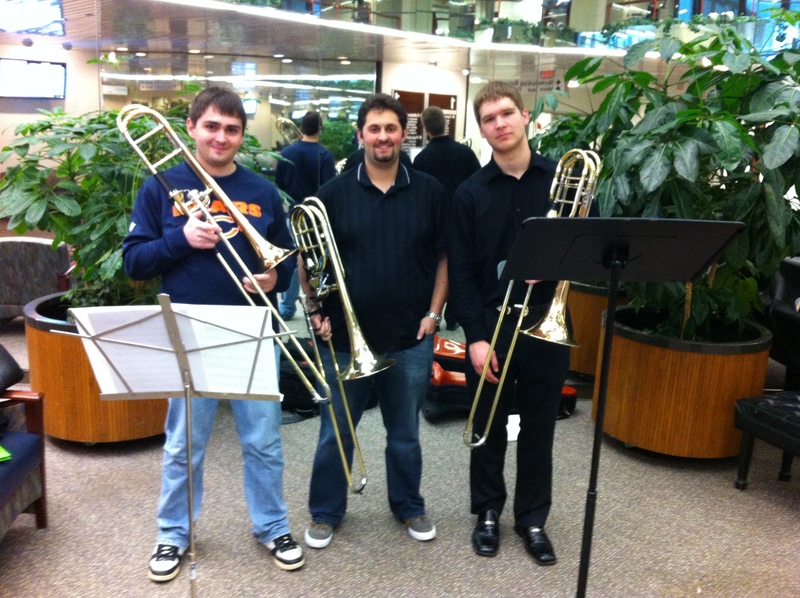 The Clinton Street Four trombone quartet recently performed their Spring 2013 repertoire at the University of Iowa Hospitals and Clinics as part of their arts outreach project. Pictured above are Justin Gingerich, Jack Frank, and Will Tollefson. Quartet member Andrew Birschbach is acting as photographer.